I would love to give credit to the person with the creativity, wit, and imagination who made this grim laugh for me, but alas I cannot. The big 5-0 is upon me and at the moment it is a double edged sword. I can look back with pride and many smiles to all my accomplishments, travels, and an amazing daughter, but at the same time, count the days/months/years that I have left to enjoy those that remain. No longer am I ‘middle aged’ – I am clearly on the downward side of that hill without the appropriate gear to keep me from breaking bones and living far longer than I could (and should!). If you didn’t get the hint by now, I will just be blunt, I love to travel. (gasp!) So when it came down to my birthday this year, I wanted out; out of the country that is. So pack up the SpiceGurl Mini and off to Quebec City for some Maple Sugar Pie and all the poutine my stomach can handle. You haven’t had Maple Sugar Pie OR poutine before?! I am not sure we can be friends. Imagine the most perfect pecan pie, without the pecans just melting in your mouth… not sugary, but sweet, smooth, with a hint of butter…I can’t believe I fit into the Mini for the ride home after these four days…. Although not new to Quebec City, walking for me, is the only way to see everything a city has to offer (or public transportation if the city is just too spread out). 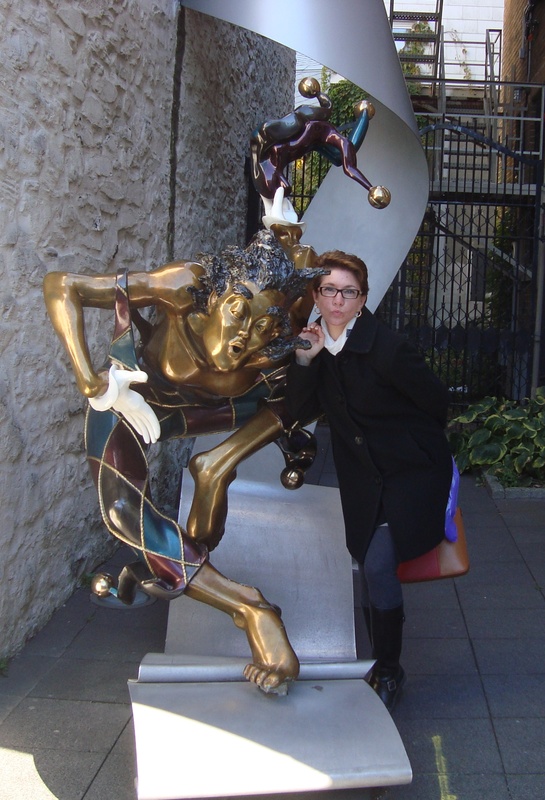 As you can see from the photo above, this ‘joker’ jumped out at me in the alley and I had to get a photo. He didn’t seem to mind. Shopping is always a must so I bought a cute tunic dress in my favorite boutique found on the very lower level of Quebec. If I lived in the area I would be completely broke, as I love every piece of clothing in the shop and it all fits perfectly! 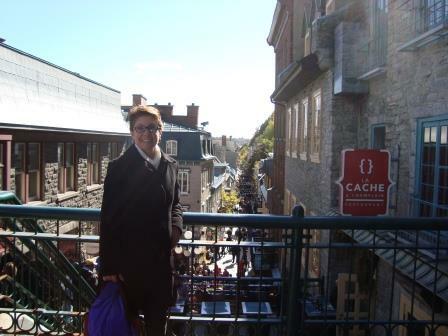 Lower Quebec City for shopping! I had to take my hot boyfriend down the funicular because I do not know of too many places where you can have the opportunity to ride a ‘sideward elevator’ as I call it. As you can see this is no joke, its a rapid decent from upper to lower city, but the view is beautiful. 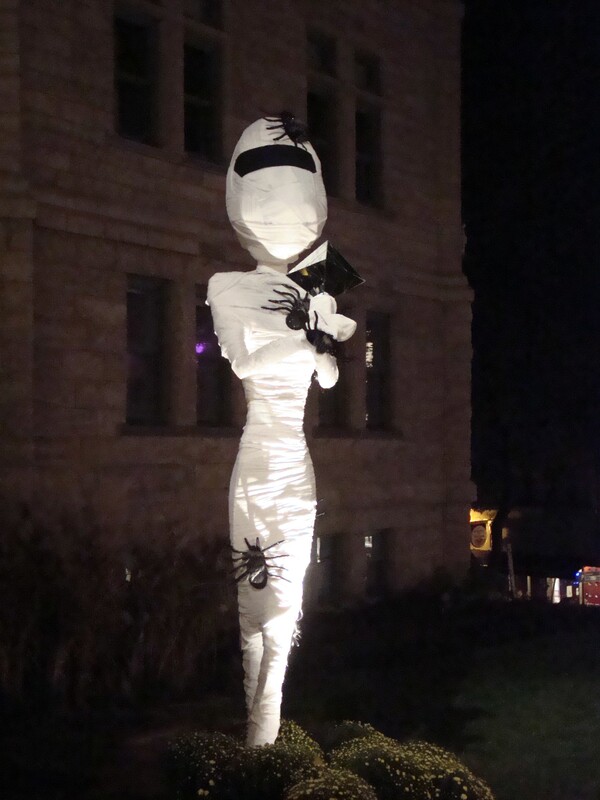 It’s a light post that is covered as a mummy so it is much larger than it looks. Sadly, I did not get to practice any of my French (sad face) although who knows, I may have spouted an insult and wound up in jail, so just as well. 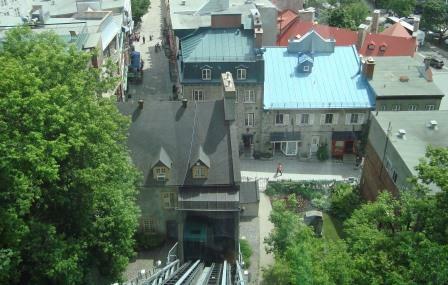 If you have a chance to visit Quebec City, go…do it! Historical, romantic, food that will wake up even the sleepiest of taste buds, shopping….it has something for everyone.